Just how many ramen shops are there in Tokyo? Estimates tend to vary between 6,000 and 10,000. What's certain is that the Tokyo ramen world is effectively endless — if you eat at a different shop every day, by the time you finish them all, you will just have to start over, because hundreds of new shops will have opened, and dozens of others will have closed or changed their menus. Amidst this mind-boggling quantity is a world-beating obsession with quality, as Tokyo's top masters tirelessly experiment with new techniques and ingredients to carry the scene forward — all while keeping a reverent Japanese eye on tradition. This top 20 list is based on more than a decade of ramen hunting across Tokyo. Collectively, we've eaten over 5,000 bowls during this period. With our eating experiences in mind — along with the recommendations of Japanese ramen master friends and colleagues — we nominate these shops as the city's best ramen shops in early 2017. The list is alphabetized, because attempting to rank these shops, given their diversity and shared excellence, would seem both subjective and a little disrespectful to the ramen masters. In truth, there are at least 30 other Tokyo shops that should be on this list — but you have to draw lines somewhere. Happy hunting. 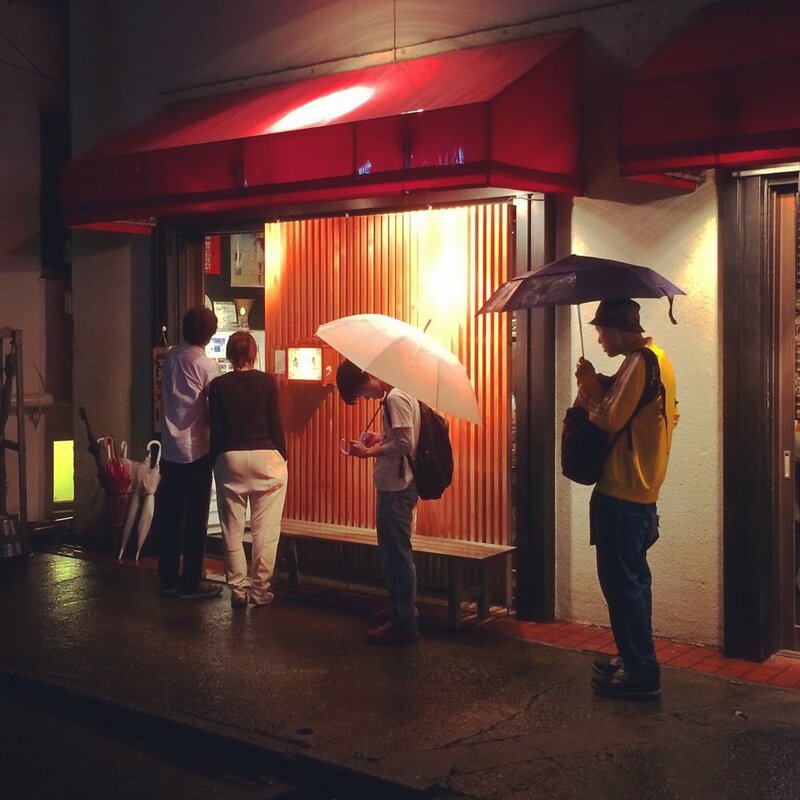 When this legendary ramen shop announced that it would be closing back in mid-2014, the masses flocked to its doors and the line for a bowl grew to an insane 3-4 hours. Benten's O.G. master, Tanaka-san, had been a pillar of the scene since his shop's debut in Takodanobaba in 1995 and we often bumped into ramen heads around town who lamented his absence. But then, suddenly, Tanaka-san announced his return in 2016, reopening a new branch of Benten in Narimasu. Again, the masses have flocked. The new shop still boasts one of the most brutal lines in Tokyo — a 1-2 hour wait at the door pretty much every day. Nevertheless, this is a must-eat bowl for all serious ramen fans — a cult tsukemen that has influenced the scene for over two decades. Only open for lunch. This shop opened quietly without much hype, but the word quickly spread amongst ramen heads that the apprentice of another well known Tokyo shop had opened his own outfit in Komagome. What you have here is absolute top-class shio and shoyu ramen. Niboshi-rich soup, premium toppings (including lights-out "teion chori" pork shoulder), and a grade A+++ egg. Somewhat off the radar for tourists and totally legit. The bowl comes finished with a few slices of palate cleansing sushi ginger. One of the top new shops to open in Tokyo within the past two years, Mengyo is now drawing lines 30+ deep pretty much daily. The master trained at the famous Tokyo chain Menya Musashi and has other ramen deep-scene connections. The master makes his soup using dried Tai (Japanese seabream), sourced from the Tsukiji fish market. The soup also contains small morsels of sea bream meat and is topped with negi and yuzu. Low-temperature roasted chashu, smoked with cherry wood, to top it off. A unique and special bowl. Note: On Monday and Tuesday, Michi suspends its usual tsukemen menu and becomes 'Ramen Michi No Shio,' serving only shio ramen. The shio ramen is solid, but it doesn't touch Nagahama-san's tsukemen. Opened in 2016, Muginae remains one of the hottest rookie shops on the Tokyo ramen scene. The golden brown soup is made from flavorful free-range Yamagata chickens, while the tare is prepared from two varieties of specialty shoyu — one from Nagano, the other from Hyogo. The noodles are house-made with Japanese flour. 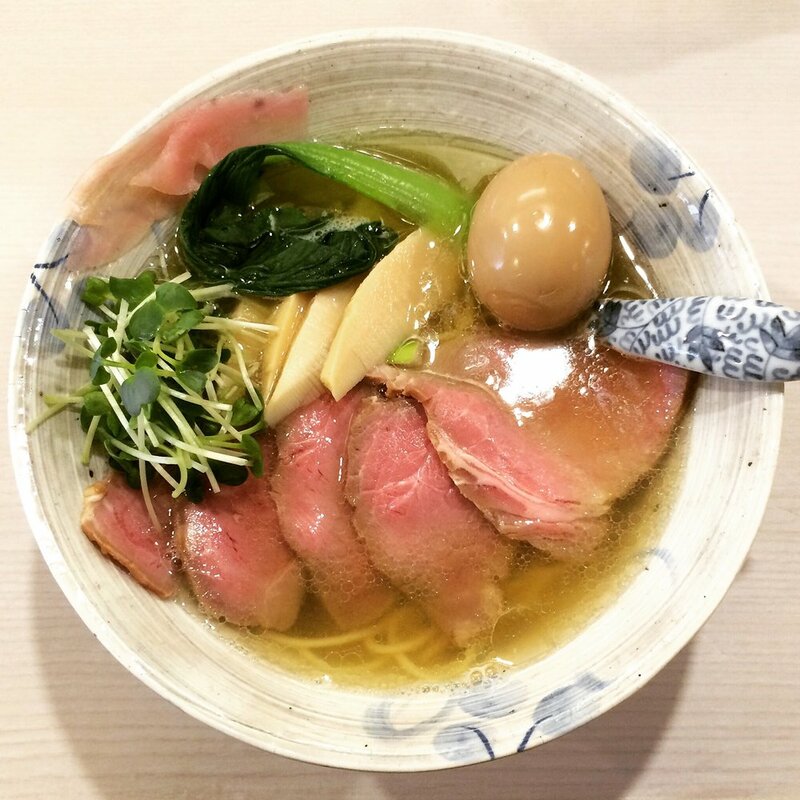 Muginae is an excellent example of the ongoing Tokyo trend of exquisitely prepared shoyu ramen made with high-quality ingredients. Balance plus clean, crisp flavors — this one is an absolute winner. Shibasakitei is somewhat underrated in our view. The shop is clean and simple, with just one long counter and two staff working the kitchen. What to order depends on whom you ask — the shoyu wonton chūka-soba is sublime, as is the niboshi shio ramen. But the niboshi is the Ramen Beast favorite. The noodles are straight and presented ever so carefully. A broad, thin slice of chashu, menma, and some fresh Japanese mitsuba leaves finish the bowl. The soup is a sheer delight and only gets better as you delve deeper into the dish — potent, smooth niboshi, such a unique and pleasant taste. As you would expect, crazy umami going on — it's liquid Japan in a way. The mitsuba leaves add just a hint of herb-like wildness. Most impressive: it costs just 650 yen (about $6). Unbelievable cost-performance. Located just across the street from Ebara-Nakanobu station, this amazing little ramen shop is run by a husband and wife team working in tandem. The noodles are handmade from whole wheat. The shop specialty is a delicate niboshi shoyu ramen. For each order served, the master pours the soup through a strainer full of dried niboshi directly into each bowl, further infusing the broth with the natural essence and umami of the fish. 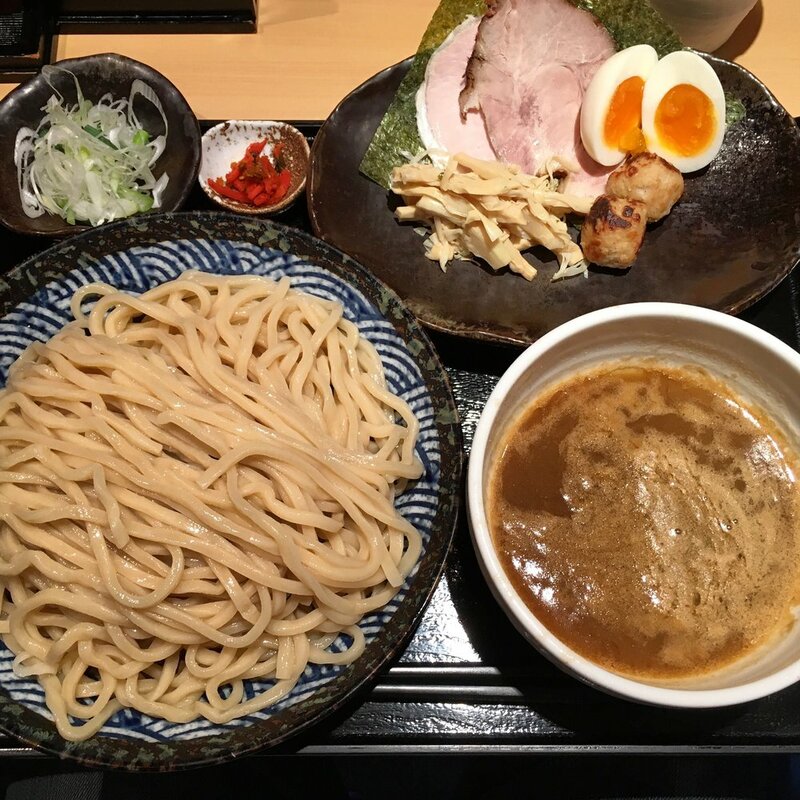 Takano also serves tsukemen and shio ramen (the latter featuring a special salt from Okinawa). A homey atmosphere meets masterful execution here — one of the best ramen experiences in Tokyo.